This practice-based research aims to develop cinematic VR as a reflexive device for exploring critical empathy. Critical empathy is a concept that emphasizes the limitations and complications of empathy from reflexive perspectives. Many artists and filmmakers have become increasingly interested in using VR as a creative medium for evoking empathy. However, the complexity of the empathic process in reflexive contexts has not been considered sufficiently. Current cinematic VR is focused on creating an immersive illusion to induce a sense of presence or embodied experience rather than eliciting reflection. Although VR technologies have been developing rapidly, there are obvious gaps between physical reality and virtual reality in terms of embodiment and bodily presence. Those gaps do not necessarily need to be erased to create immersive illusions; rather, they can be used effectively as a new method of storytelling and as aesthetic techniques for promoting self and social reflection. 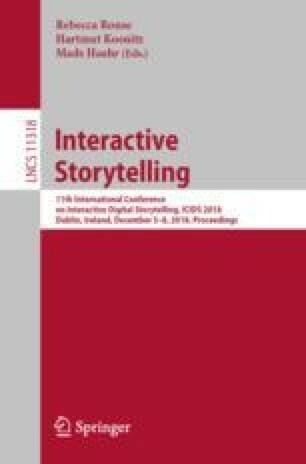 The practical exploration of the creation of a new method of immersive storytelling could add substantive insight to understanding cinematic VR, which can be seen as a reflexive device as well as a sociocultural tool for critical empathy.